What if a vCard is not an acceptable form of payout? Sometimes, a vCard just won't do. PayStand is here to help. For any vendor wishing to have a printed bank check sent in the post, instead of the immediate vCard, the email in which the vCard arrived will include a link the vendor can click and provide mailing information for PayStand to send a printed check. That check will automatically be in the same amount. Once a vendor selects to have a printed bank check sent, all future payments will also resort to printed bank checks. If you or your vendor wishes to return to receiving vCards, contact PayStand Customer Success and we will help you adjust the setting for that vendor. A printed bank check adds 1-2 weeks in the arrival time of the payment. Feel free to contact PayStand Customer Success if you have any further questions. 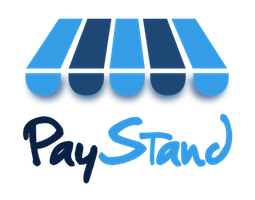 How does PayStand survive without taking a slice of transaction fees? What is a vCard and how can I use it?